Located in the Summit of the master planned community of Estrella Mountain Ranch this community features everything a homeowner could possibly want, medical facilities, dining, shopping, highly rated schools, 50 miles of mountain biking and hiking trails, par-72 18 hole Championship Golf Course and the Starpointe Residence Club & the Presidio Residents Club . Take advantage of the lake, community pools, water park & Two fully equipped 5,000 sqft state of the art work out facilities. Tucked into the mountains on a lot with amazing mountain views & majestic sunsets. 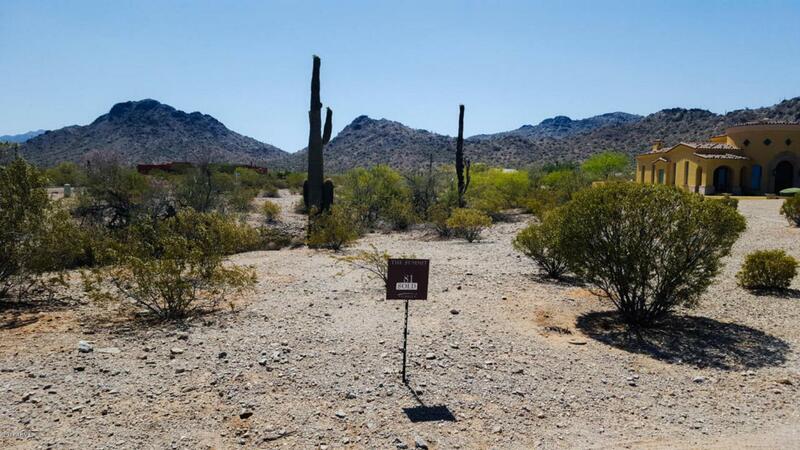 Build your dream home on this 1.03 acre parcel, surrounded by gorgeous custom homes. Paved roads, utilities at the property, there are no time restrictions to build.